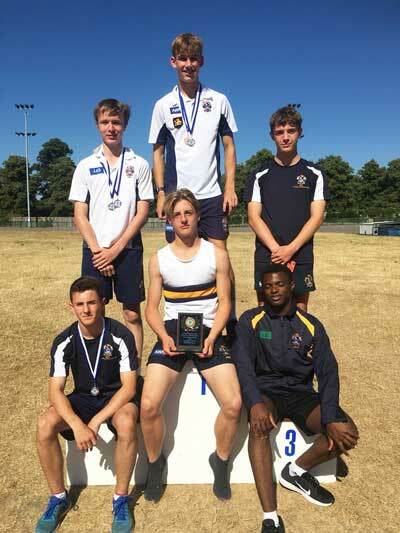 Our U13, U14 and U15 athletes had a clean sweep at the Reading Town Athletics Championships in June, winning all three sections – and numerous gold, silver and bronze medals. 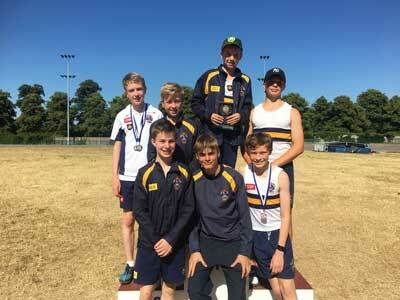 In the U15 section, Matt K won the 400m in an impressive 50.8 seconds. The U14s were a little more prolific, with Oliver B winning the 800m in 2m 26.5s, Chris P taking the 1500m in 4m 54.6s and Tom D winning the shot put with a throw of 10.74m. 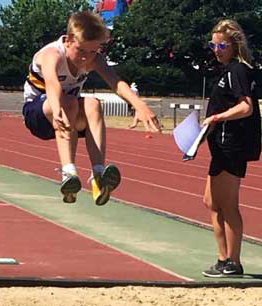 The U13s were in top form, though, with Tom D – following his Victor Lodorum success the day before at Sports Day – winning both the 600m and the long jump; Lucas D taking the 300m in 48.3s; James D joint winner in high jump (1.30m); and the Blue Coat team winning the 4 X 100m relay in 56.2s. Other winners on the day were Ollie (triple jump bronze), Oscar (1000m bronze), Ollie #2 (triple jump silver), Alex (shot put bronze), Archie (blue riband event bronze), Rees (silver).